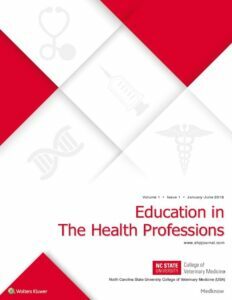 Education in the Health Professions, a publication of North Carolina State University College of Veterinary Medicine, is a peer-reviewed print and online quarterly journal. Caveon’s CEO & President, Dr. David Foster, was published in their most recent issue. In his article, David reflects on his nearly 40-year working experience in the assessment arena. He reasons that, despite many innovative technology solutions, the assessment field has failed to introduce technology in creative, effective ways. This is evidenced by the fact that most modern assessments used in the high-stakes testing industry involve paper-and-pencil tests administered on computers. He then identifies eight common reasons (and excuses) that are often used to reject change and accept the status quo, thereby forcing the assessment field to live in the past. Click here to view the article, and here to view the full journal.